When your home, possessions and lifestyle result in you becoming a higher target for crime – can you be sure your current security is up to the job? GMS Security provide a full security review for a wide range of residential customers across the UK. We regularly help our clients safeguard their property and implement suitable crime prevention measures that go beyond the standard ‘locks and alarm’ solutions on the market. Online and cyber threats are not only happening to companies and the public sector – any device that connects your home to the web is a weak point that needs to be monitored. Our comprehensive home security survey evaluates all aspects of your home including physical, technical and cyber security threats to your property as well as a review of local crime data for your area. We conduct a comprehensive on-site survey of your property, grounds and perimeter to create a detailed report that identifies any risks or vulnerabilities to your residence. We will also conduct an internal security survey to identify potential threats to your home via technology intrusions and identify valuable assets for protection. Once complete we can then discuss and put in place a full security plan tailored to your individual needs. As a leader in property security we can make sure your assets stay where and how you want them to be. For complete peace of mind for you and your family – our fully SIA accredited professionals will conduct a detailed home security risk assessment. This will provide a complete picture of your current good practices with a full breakdown of suggestions for improvement. 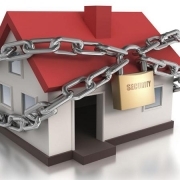 Physical access to your property is the foundation for your home security. All accessible access to your property will be checked and recommendations made if any weakness is identified or your home access could be better secured. We will check your current alarm and response support for suitability to your personal lifestyle and circumstances. As standard GMS Security offer a 24 hour, 7 days a week manned control room to provide a round the clock service for ALL incidents and emergencies. Homes are now connected to the outside world through multiple devices and services – each providing a possible security breach point that may not have been reviewed for security before. Make sure you are using the internet safely and securely with GMS. Exterior lighting serves both an aesthetic and security purpose. We will make sure all the areas outside your property are effectively lit, not leaving any chance of a security breach. Perimeter Security and Access Control systems protect the external perimeter of a facility, we can advise the best way to control access to restricted areas, and detect and monitor anomalies. This would cover other parts of your property such as outbuildings, parking structures and storage, stables or workspaces etc. Helping ensure your vehicle is safe and secure. With vehicle crime on the increase and in particular, for those with keyless fobs, GMS offer guidance to best secure your vehicles both at home and out and about. We can advise on best practice and measures that can be implemented to protect your internal possessions. We will provide you with a crime mapping report for your immediate area (1 mile radius). This will identify any crime incident patterns in your community and can highlight areas where this is a need for increased security. Find out more or to book your home security review. Call us on 01527 889180 or send us a message using the form below.